Playing game is always entertaining and it is one of the best way to time pass? If you like to play different mobile games and looking for some new games then this post will definitely for you. In this post I am going to present the details about one of the most popular game among youth which is none other than Ninja Rush. This is an extreme level interesting battle games where you can find ninjas battles between them. The game interface is quite smooth and attractive. Though this game is quite challenging but you can enjoy it for sure. If you are a game love who likes to play battle and Ninja fighting games then Dragon Ninja is always the best option for you. Now if you have no idea about this game then don’t worry I am going to describe all things in details just have patience and read this post till the end. This is very simple just install this game and you will get a quick guide in the very start stage of the game. In this game you have to unlock new characters and level up them to be increasing their powers to face battles among enemies. This is a reflection touchdown game which is very interesting and you have to face various stages in this game. After every win you will get gold and some gems which are very helpful for your card or character build up. 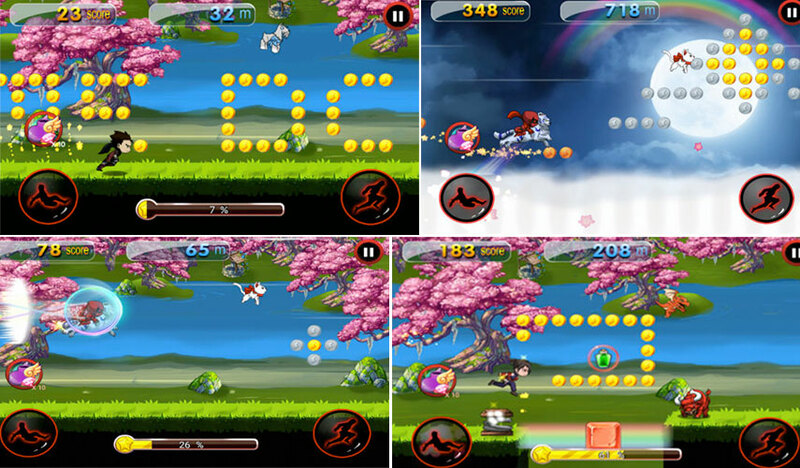 In this game you have to face various hurdles and enemy attacks. Shurikens attack is quite dangerous so for this you need to play this game with more focus and patience. During the game you may find several awards and stuffs like giants poison, Magic wands and much more. Just collect those rewards and use them appropriately in the game. You can also get the feature of your own Ninja pet like Ninja Dragon, Ninja Cat and Ninja Dog. This game is quite flexible and easy to control but if you want to reach high arenas then you need skill. You will get many power ups and bonuses during game which is the interesting part of this game. So Hurry up! Download this amazing game today and experience the real Ninja Battle on your mobile and make your day better and entertaining.